Your new Amazon Fire television set can pause live TV and turn off your smart home lighting. 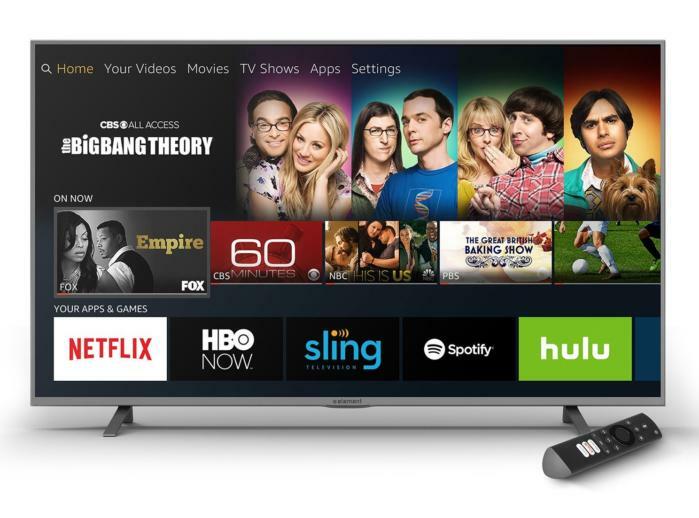 Amazon's Fire TV software is jumping out of set-top boxes and into its first 4K television set. 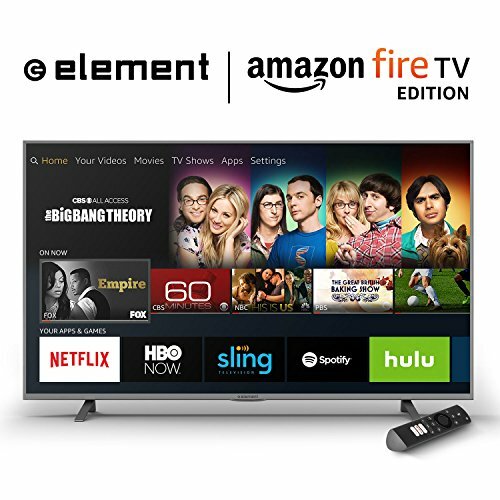 The online retailer recently made available for pre-order the Element Amazon Fire TV Edition 4K TV. The set comes in 43-, 50-, 55-, and 65-inch screen sizes priced at $450, $550, $650, and $900 respectively. The televisions are expected to start shipping on Wednesday, June 14. Those are cheap prices for a 4K TV, especially one with smart features. There doesn't appear to be an HDR option or any other high-end visual features. The TV itself features 3840-by-2160 resolution, a 60Hz refresh rate, 3GB of RAM, and 16GB onboard storage that is expandable up to 128GB via USB or the SD card slot. Speaking of which, the TV offers a solid mix of ports. There are four HDMI ports, all of which are HDMI 2.0 and support HDCP 2.2. There's also a USB 2.0 port, one USB 3.0, Ethernet, VGA, RCA inputs, and the aforementioned SD card slot. Wireless connectivity's handled by dual-band, dual-antenna 802.11a/b/g/n/ac Wi-Fi and Bluetooth 4.1. But the big feature of this TV is the software. The TV packs Amazon's Fire TV interface and comes with a Voice Remote with Alexa, allowing it to double as an Echo. That means you can use voice commands to control your TV, as well as tell Alexa to turn down your Philips Hue smart light bulbs or turn up the ecobee3 smart thermostat. It can also control live TV playback for over-the-air broadcasts. The Verge reports that beyond Amazon alone, these TVs will also be available in physical retail stores in June. The TV sets will also roll out under the Westinghouse brand depending on which market they're sold in. The story behind the story: While these 4K televisions sound serviceable and available at a good price, buyers are still playing into the smart TV game. Generally, you are far better off buying a simple "dumb" TV and using a cheaper set-top box or streaming stick. That way when technologies change or worthwhile new features are added, swapping them out is cheap. Smart TVs, on the other hand, are not so easily changed. Even if you do get regular software updates at first, TVs are generally owned on a 10-15 year cycle, while software for a specific device is rarely developed and maintained on that timeline (save for maybe Windows). That said, with such a low price it may be worth picking up this Smart TV now, and adding a set-top box later once the set's software updates end.